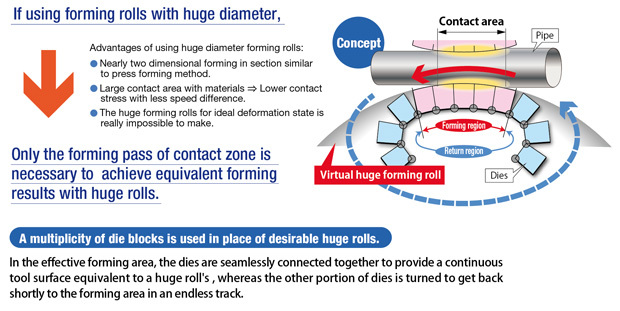 Break the limit of roll forming method ! 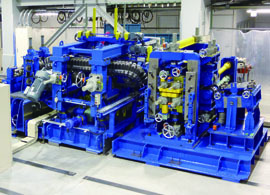 ODF makes use of multiple die blocks moving in the circumferential direction on an endless track, which are connected together to provide a tool surface with a very large curvature radius and work just like a huge roll. The new forming method eliminates the slippage problem between tool surfaces and metal strip and can cover a wide product range from large diameter pipes with excessive thin wall thickness to small diameter pipes with extra heavy gauge. 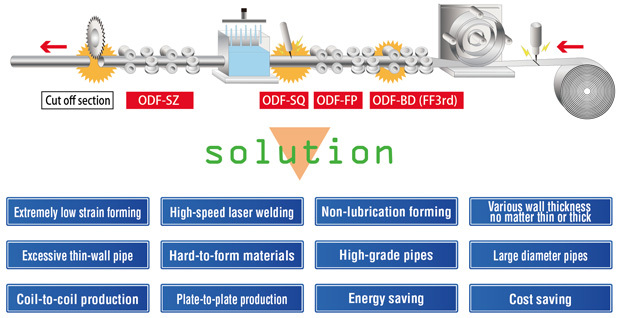 This ODF method is applicable to each forming stage in the pipe mill. 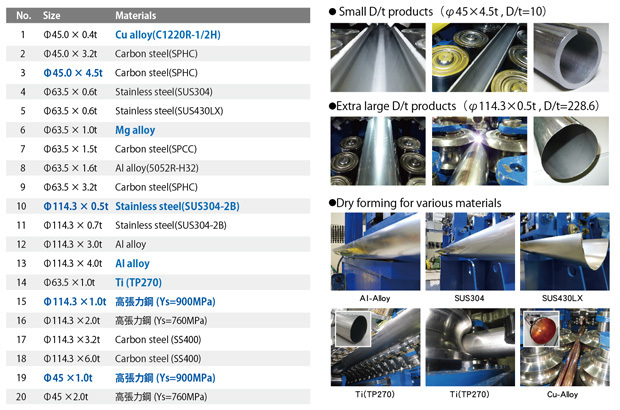 Excellent forming for wide range of products even with the challenging materials.